What can private equity fund managers learn from Professor Brian Cox? What can private equity fund managers learn from Prof. Brian Cox? Do you look forward to watching TV documentaries about science? For the majority of people, the reply is ‘no’. Put Professor Brian Cox at the centre of a series though, and the answer, for millions, becomes ‘yes’. The pop star of particle physics, Cox is undoubtedly the UK’s favourite – and most high profile – scientist. 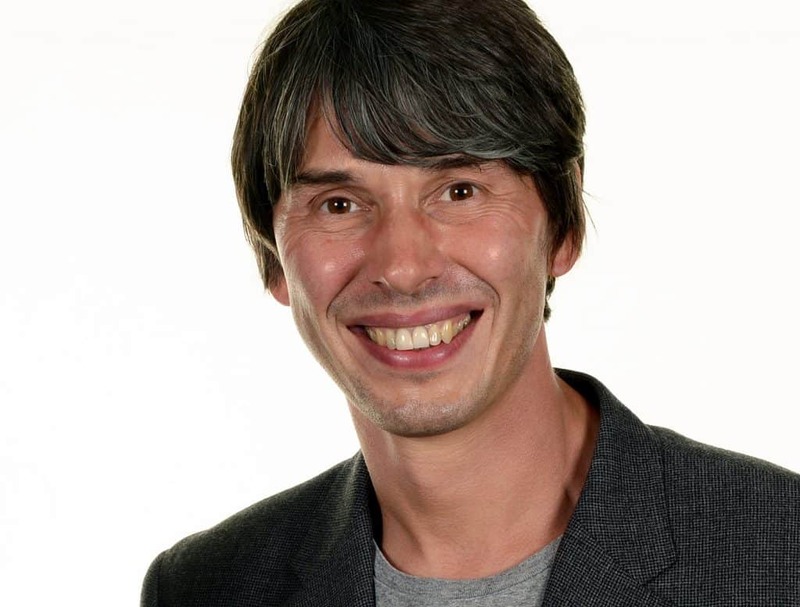 So what is behind Professor Brian Cox’s appeal as a presenter? And what can private equity fund managers learn from him? Cox has the credentials – a first class BSc, a Masters and two Fellowships – but so do many other scientists. What makes him different is his warmth. He’s likeable. Another Professor, Amy Cuddy from Harvard Business School, studied the relative importance of likability and credibility in fundraising. Her research looked at what the most successful entrepreneurs did differently when pitching to VCs. She found out that the entrepreneurs who closed deals were both credible and likeable. Both traits are equally important to build trust and persuade VCs to invest. We often film private equity fund managers during their 1:1 pitch preparation with us, so they can view how they come across more objectively. We’ve found that they are able to project more warmth through simple changes such as asking more questions, smiling more and maintaining more eye contact. All things which Cox does regularly when presenting. Rather than just tell us how much energy is radiated by the sun, in Wonders of the Solar System Professor Brian Cox showed us how it can be calculated. Using everyday equipment such as a tin of water, a thermometer, an umbrella and some school-level maths, Cox sat in the Mojave Desert and talked us through the experiment. – Tangible products. We have encouraged private equity fund managers to take balsamic vinegar, aircraft models and even raw diamonds to their pitches. – Third party endorsement. Could the CEO of one of your portfolio companies attend? They could talk about what they do, how your fund has helped them and often you communicate. – Storytelling. Show investors what your fund does differently through stories. For example, you could relive the (true) story of how you saved a company that was on the brink of bankruptcy and sold it at a record high price. Or how you transformed a management team by inspiring and empowering them. The ‘show don’t tell’ maxim applies to your pitch book, too. Test your pitch book for investor-readiness against our six questions here. Cox takes incredibly complex topics and makes them accessible. In the Mojave Desert experiment, he tells viewers that the sun is delivering about a kilowatt of energy per square metre. To make this come alive, he points out that that’s enough energy to power ten 100-watt bulbs. Brian Cox is never patronising or simplistic. He doesn’t dumb down. But he does use every tool available to him to simplify his topics and make them as engaging as possible. Parodies of Brian Cox playfully tease his endless awe and excitement with the wonders of the earth and solar system. It’s impossible to watch his programmes and not feel swept along by his sense of curiosity and fascination. His passion is infectious. In contrast, many business pitches and presentations are delivered without enthusiasm. For the listener it’s a fight to stay attentive. But research shows investors want to see private equity fund managers who are passionate about what they do. You may have travelled halfway around the world to attend a pitch meeting. It might be your fifth meeting in one day. Nevertheless, to misquote Theodore Roosevelt, investors “don’t care how much you know until they know how much you care”. Brian Cox introduces the sun as a ‘colossal fiery sphere of tortured matter’. The northern lights ‘look like spirits drifting from the mountain into heaven’. The solar system contains ‘ancient beams of light’ which are ‘messengers from the universe’s distant past’. It’s easy (and safe) to default to dull language in business. But it’s much more important to be memorable. Metaphors, descriptions that appeal to the senses and rhetorical tools such as the power of three can all help you stand out when presenting to investors. Could your investor pitches and portfolio companies benefit from some of Brian Cox’s presentation charisma? Benjamin Ball Associates works with private equity firms to help them impress investors and polish their portfolio companies. Our clients include Permira, ECI, Sovereign Capital, Deutsches PE and Frog Capital. Visit our website for more information, or contact Louise on +44 (0)20 7193 0130 or email louise@nullbenjaminball.com. You may also be interested in our Little Green Book for Private Equity Fund Managers. This short guide details what we do at each stage of the process and how we can help you overcome your challenges with investors. Forces of Nature, presented by Professor Brian Cox, is on BBC1.